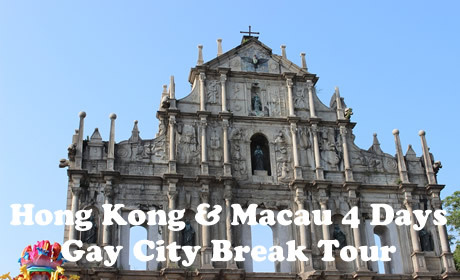 Smooth and enjoyable 4 Days gay city break tour arrangement to enjoy touring in Hong Kong and Macau. 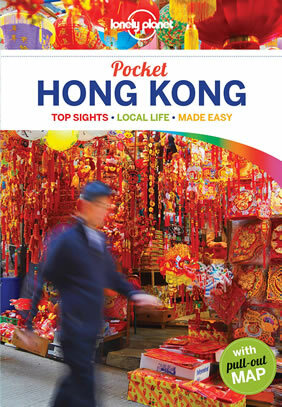 Highlights include Victoria Peak, Repulse Bay, Aberdeen, Stanley Market, Star Ferry, Ruins of St. Paul's Cathedral, Penha Hill, Puji Buddhist Temple, and Border-gate of China. 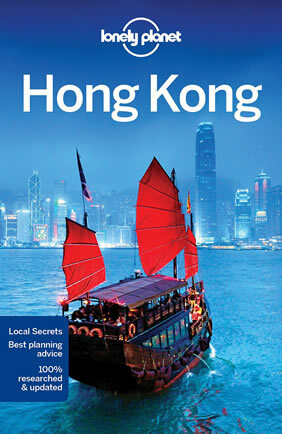 In many ways Hong Kong is already one of the most gay-friendly cities in Asia. 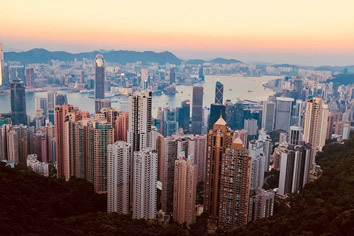 There are gay business clusters in several districts, including around Hollywood Road area in Central and Wan Chai on Hong Kong Island, and around Nathan Road in Kowloon across the harbor. Star Ferry Hong Kong is a tourist attraction belongs to Star Ferry Company who has ferries shuttling between Hong Kong Island and Kowloon. The Star Ferry now possesses 12 double-deck ferries and there is a cabin on the upper deck equipped with air conditioning in each ferry. On watching, you can find that the names of these ferries have the word 'star', such as Night Star, Morning Star, Gold Star, and Heaven Star. 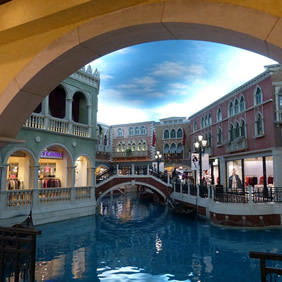 Take cruise to Macau. 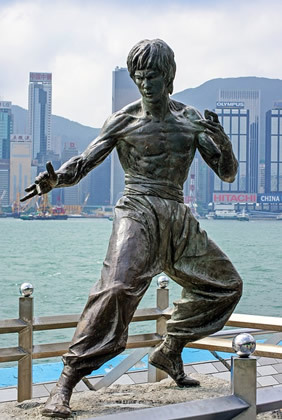 Your Macau tour guide will welcome you. 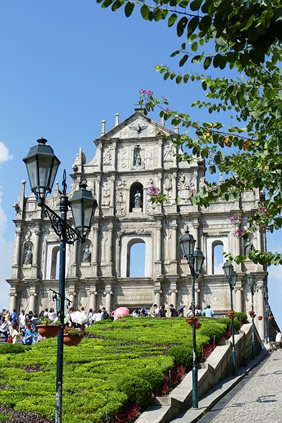 The Ruins of St. Paul's Cathedral is the is definitely the most famous sight in Macau. First constructed in 1580, St. Paul’s Church caught fires in 1595 and 1601 respectively. Reconstruction started in 1602 after the church was burnt down and completed in 1637, Unfortunately, a violent typhoon hit Macau in 1835 and the church caught fire for the third time. Now it only left the stone stairs and front facade. From the bottom this structure has five tiers. The remaining three tiers are the most ornamented. The statue of Madonna stands in the middle part of the third tier, while the statue of Jesus stands on the fourth. The walls are covered with bas-reliefs in various patterns The triangular combination of the upper three tiers reflects the Holy Trinity as well as the Blessed Virgin Mary. As the third highest hills in Macau, Penha Hill is a popular tourist location for colonial history. The forts, buildings, residences are wonderful sights. 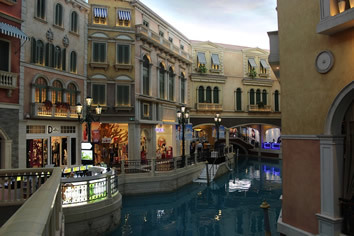 Meanwhile, itis the most featured scenery in the paintings of Macau by the renowned British artist George Chinnery. Each year on the eve of Easter festival the statue of Mary is taken from St Dominic Chapel to Penha Hill. 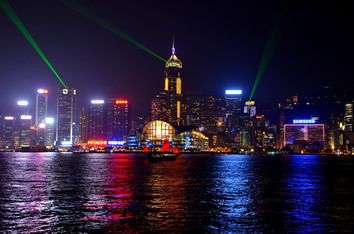 The Macao harbor is on the western side. 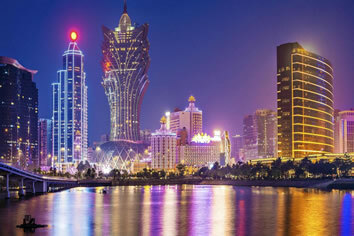 Penha Hill in Macau is often viewed as a span that spreads from the towering Gua hill and connects the near by Barra Hill on the southwest. 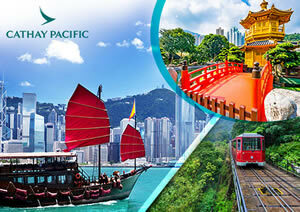 Over looking the Praia Grande hillock, the famed hill offers the most pleasant view of Macau peninsula. 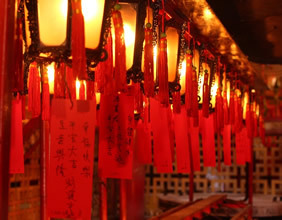 As one of the three renowned temples in Macau, the Puji Buddhist Temple is the largest, and it has a history of around four hundred years. The best times to visit Puji Buddhist Temple are during religious festivals: Bodhisattva's Mercy Day on the 26th of the first Chinese lunar month, Bodhisattva's birthday on the 19th of the second Chinese lunar month, Releasing Souls from Sufferings Day on the 19th of the sixth lunar month, and Sitting on the Lotus Flower Hassock Day on the 19th of the ninth lunar month. There are many religious activities during these times. Bodhisattva's Mercy Day is the most popular festival in the temple throughout the year. Located at the northern most point of Macao, the Barrier Gate of Macau is the historic parting between the Chinese mainland and the Macau peninsula. 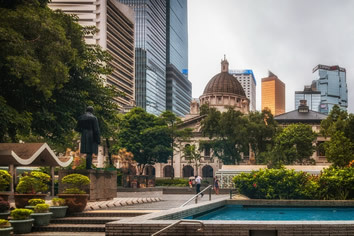 Originally conceived as the barrier by the colonial Portuguese rulers to obstruct cultural and political exchanges between the people of China and Macao. This Macao Gate was made of granite stones traditionally marked the border between this former colonial possession of Portugal and China. Erected in 1870 to thwart the impeding Chinese nationalistic upsurge from inflowing to Macao, this Barrier Gate of Macao is now maintained as a small park. A quote of Sun Yat Sen, the father of Chinese nationalism, "Honor your country for your country is watching you" is well engraved in the stone walls of the gate.